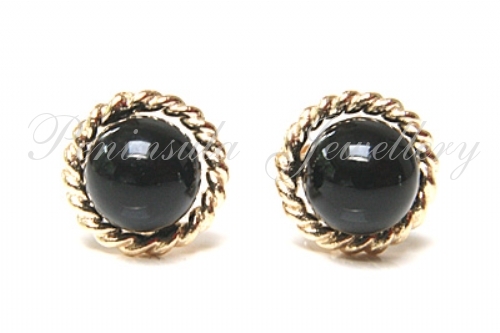 Featuring 4mm Black Onyx gemstones securely set in 9ct gold with a rope effect surround. Outer diameter 7mm. Standard posts and backs in 9ct gold. Made in England and supplied in a luxury gift box - Great gift! !